Marine life will change significantly and will increase, because this mod adds a large number of new marine inhabitants, as well as some items that can fall out of them. Make a pool with fish or zoo with a real walrus. 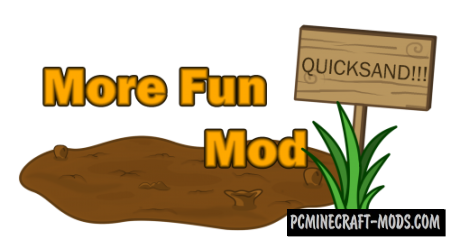 Mod adds to the game a 25 types of the quicksand. The mod will add items with which you will be able to get out of new dangers. Make traps for animals or for their friends. But do be careful with these traps. Want a new sensation and battle? Then meet Expasion mod, which the game will be as much as 2 new biome. Each biome contains unique mobs and ores. And, you can be in these biomes to come across various monsters that are the bosses. 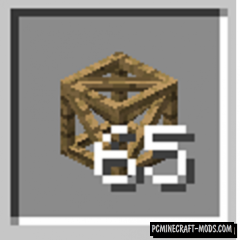 With this mod you will be able to do blocks of straw, also it will be available from crafting stairs and slabs. Can feed their cattle with fresh straw, and do the stairs or the roof in his barn. Experiment, friends. A fairly simple modification, but with it the game becomes much more dangerous. Once underwater you run out of oxygen, you will begin to lose health, and die instantly. So be careful and less sitting in the water. The game will be a new block that can be crafted from a large amount of material. With it, you will be able to diversify their buildings. With this modification your ideas and you will be able to change the interior in the room, but something more interesting. A great addition for modifying The Spice Of Life. 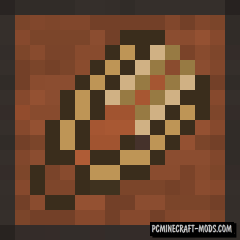 With this modification in Minecraft will be even more baking, now you can eat will be cookies, cupcakes, baguettes and so on. And another funny moment, there are several forms of those pastries that you can do. Mod Wooden Shears – which will introduce minecraft is practically not different from the usual scissors – wooden scissors. Wooden model this tool will allow you even in the early stages of the game to use them. Remember the Internet mem Doggy – face of which was a dog. So, this modification how to say established in her honor and adds in Minecraft many new dogs. Which, in turn, to tame and play with them. Of the items in the game, a whistle and a kennel.